There are a large number of deals below in the table that might serve you well if you are planning a trip. 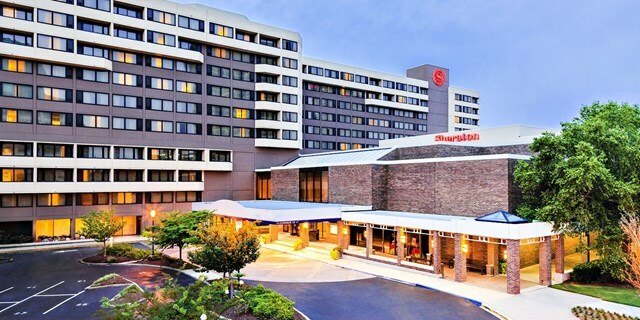 Book the Sheraton Norfolk Waterside Hotel for $89 per night and save over 30% off regular rates on your stay in Virginia. You can also get yourself a flight from Los Angeles to London with Air Tahiti Nui for $842 r/t, 7 nights Caribbean cruise with MSC for $1,179 per person or the Hilton Fort Lauderdale Marina for $96 pp. Act now, the best ones will sell out in a glance! Sheraton Norfolk Waterside Hotel is the only waterfront hotel in the city. It has a heated outdoor pool as well as a nice bar where happy hour brings daily wine tastings. Rooms are very spacious and feature signature Sheraton Sweet Sleeper Beds, sofa bed, flat screen TV, free bottled water and more. You might do well to do some research before you book any travel deal. Compare the prices of some merchants and make sure the Norfolk hotel you stay in really is the best in town. This entry was posted on Wednesday, October 28th, 2015 at 8:10 am and is filed under Hotel Deals, Top Deals. You can follow any responses to this entry through the RSS 2.0 feed. You can leave a response, or trackback from your own site.